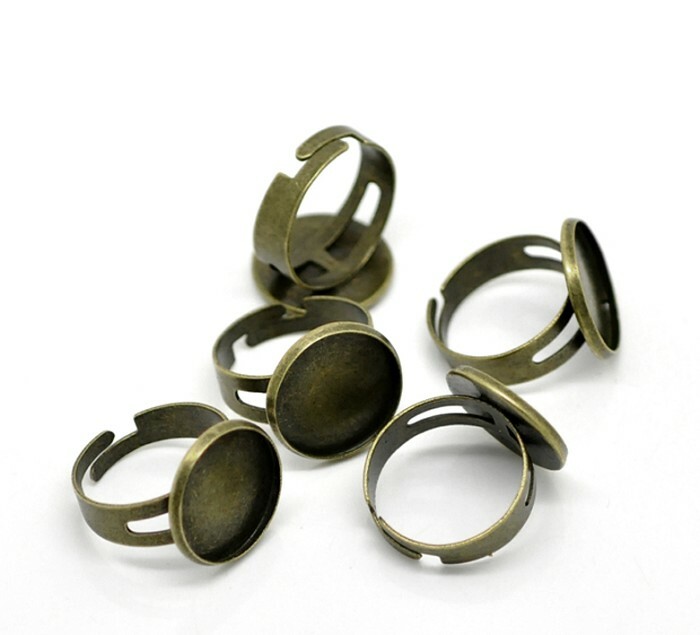 10 Antique Bronze Rings & 16mm Glass Domes Kit . 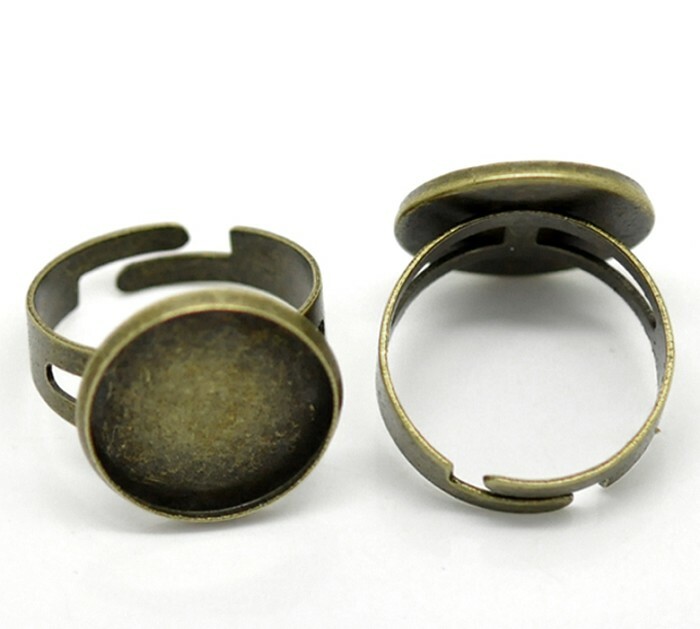 10 Antique Bronze Round Adjustable Cabochon Setting Rings & Glass Domes . 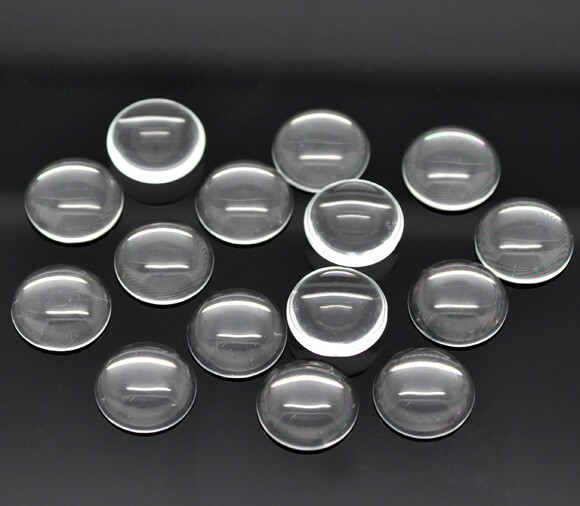 Make a stylish and personal ring by adding an image and adhering your glass dome. 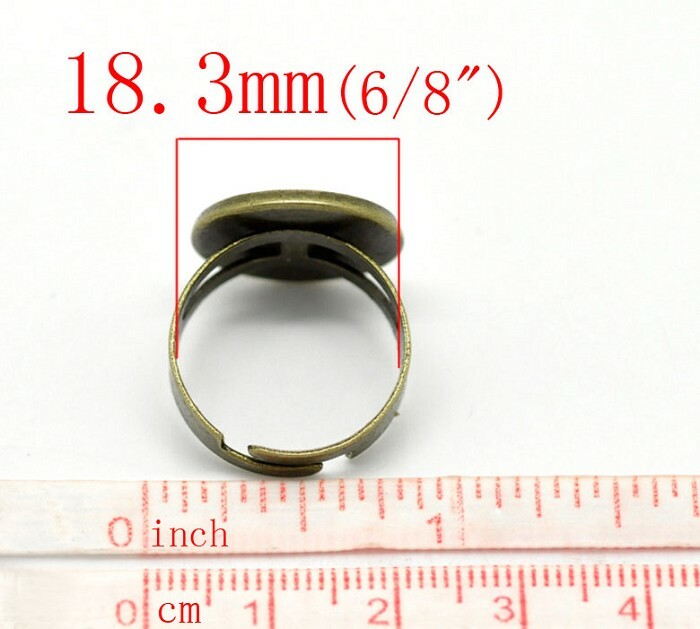 There are several tutorials on youtube to demonstrate how easy and achievable it is to make these goegeous rings.